What rucksack / bag do you use? Just wondering what people here recommend as a rucksack. I'm looking for a new rucksack with enough space for a MacBook Pro 15" (with plenty of padding). 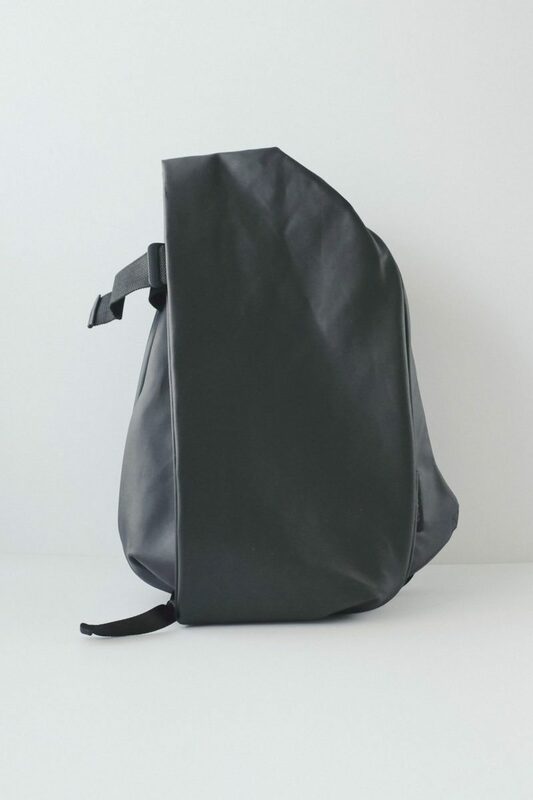 Ideally, it'd be a rucksack that is professional enough to bring to client facing meetings but also looks fairly stylish to use as an everyday carry bag. Can't go wrong with something from Cote & Ciel. Their bags are a bit pricier than most, but they are built like tanks and do something different from a design perspective. I've got the Isar in black coated canvas, and the added duffle-bag type storage makes it great for the gym, and travelling. I got a Rhine Coated Canvas, and I can absolutely subscribe that the build-quality is insanely robust. The design is not always super functional though. It's nice for urban use and daily commutes though. I won't use it for traveling longer distances as it's a little too impractical and small, but that's specific to the model and might be different with the Isar. I agree, i've had an Isar for about 3 years now. Love the form factor and build quality but find it a bit impractical when traveling. You can try stuffing it with a lot of items but it gets bulky and starts looking a bit ridiculous haha. Agreed on the Isar and have had it for 3 years as well. Plus it's a little heavier due to the thicker construction. The only other issue I have is the shoulder straps don't stay taut so I have to pull them while wearing it every so often. Despite that, I love the bag and don't plan on replacing it anytime soon. They seem to be favoring the laptop pocket zip to be placed outside the shoulder straps in newer models; I bought the gray melange because it was more protected under them. Mission Workshop has always been my favorite in the 'carry-till-you-die' category of bomb-proof offerings. Not always the most attractive options, but I just received the Arkiv brief (14L) and it's exactly what I've been looking for. Big enough for daily carry (macbook + sweater + umbrella + headphones+ etc), black and low-key, but built to a higher standard than you see nearly anywhere else. The larger 19L 'laptop brief' is deceiving - they sent it me by accident - it looks great online but is very long and doesn't have a padded laptop sleeve. Still though, built like a tank. This Ortlieb day pack is best bag i've ever owned. Totally waterproof, easy to get in and out off, can remove the inner storage if you want more space. It's also of fantastic quality, with 2 years of daily use isn't at all tatty. I personally use 2 bags. I love this bag for its practicality and protection. Waterproof and plenty of space for my 15" MacBook, a collection of accessories and my lunch! I actually got given this from the EOS hackathon in London and it's really slick and fits my laptop perfect (minus my protective sleeve) and charger. I tend to take this on the weekends when I'm going to a cafe to work etc. Reasonably priced for what it is, I think. Has a good laptop compartment, and lots of pockets, etc to keep my pens and stuff organized. I keep my bike u-lock on the side opposite the outside pocket. Not completely waterproof but does offer a bit better protection than some (I carry a bag-cover for when the rain comes). Herschel Pop Quiz. The best backpack I've used so far. Just moved to the Aer Travel Pack 2 - https://www.aersf.com/travel-pack-2-black/ - it's a little "bulky" for everyday carry, but you can cinch it down so it's smaller, but I find I'd much rather have a super organized bag that can switch from workday to travel than have multiple bags that I have to move things back and forth between. I actually found my current bag on one the same posts here that a few people have linked. Rover Pack by Topo Designs. It's super lightweight, but it's tough and doubles as a solid hiking backpack. It's maybe a little on the small side but it's been perfect for me. I love this backpack. Been using it for 2 months and it's great for my bicycle commute. I had that Rains bag and it ended up ripping at the seams after a few months. It looks good, but not heavy duty. I've been using the Chrome Bravo 2.0 for about two years now and it's still good as new. I had this bag and ended up giving it away for free. The straps were insanely uncomfortable for me. Aside from being uncomfortable, I found that the thick rubber just felt unpleasant to the touch. I have the Classic Business and it's quite good and confortable. It's big enough for laptop, Wacom, tupper with lunch and water bottle. Among other small things like a book, etc. I like my The North Face Kaban backpack (all black), https://www.thenorthface.com/shop/kaban-nf0a2zek. Pockets for water bottles (or similar sized items) on both sides. Big fan of the Topo Designs Klettersack—it's not the most technical bag (kind of the traditional top-loader design), but it's water resistant, super well made (going on 3 years of heavy use and abuse) and works pretty well as a day hiking pack to boot. I have a Thule Paramount 24L. Very heavy duty. And lots of padding for my gear (Macbook Pro 15", sometimes another laptop or a camera). I also like that it doesn't get bulky even when it's holding a ton inside. Use it for the office and for travelling too. Both great for an everyday carry. The Aer is great if you're going to workout as well. The ISM is great for more of a minimal everyday carry. Would recommend both. This has been asked so many times!